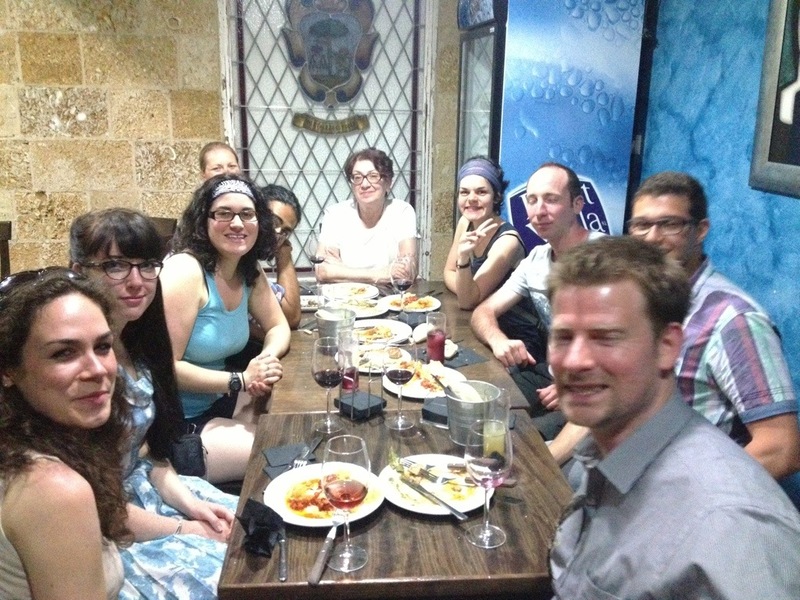 I was dreading riding the bus to southern Spain, taking the ferry then busing to Marakeesh. I found a plane ticket for the same price as all the above travel pieces added up. I’m so happy I can hardly believe my good fortune. I’m going for 13 days, I’m leaving my bike at the Seville Palace Hostel that also has a swimming pool on the rooftop deck. I visited the Seville Cathedral today (by accident). I went by earlier in the day, there had to 100 people in line. So I came back before closing and had 45 minutes, not quite enough time. But I was planning on taking the bus the next morning so it was my only chance to go. Here’s a niceVideo.and History about the cathedral. I thought this was the nicest piece, all marble, it was amazing. They said they had 1000 people at one time working on the cathedral, the largest in Europe. 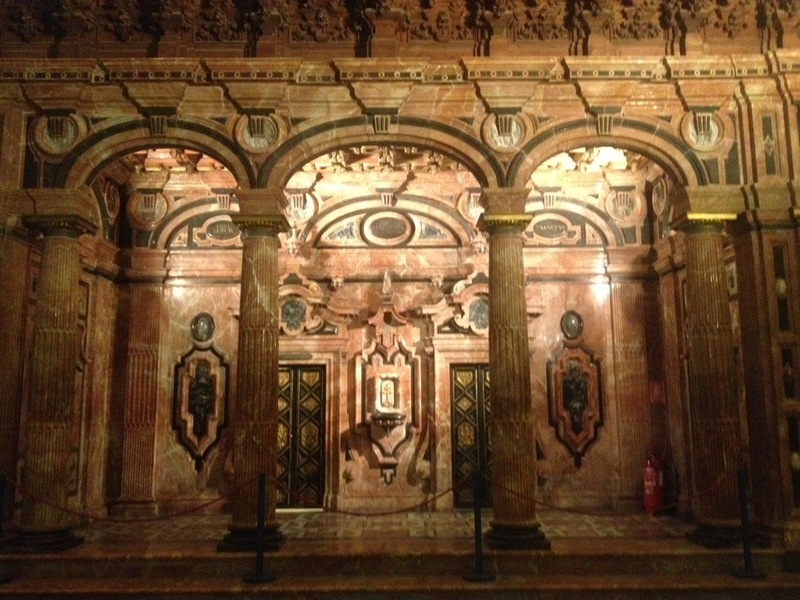 Christopher Columbus is entombed here. Portland Oregon is known for memorializing bicyclist who are killed while riding a bike. The first ghost bike was erected in Missouri in 2003 and the tradition is spreading around the world. 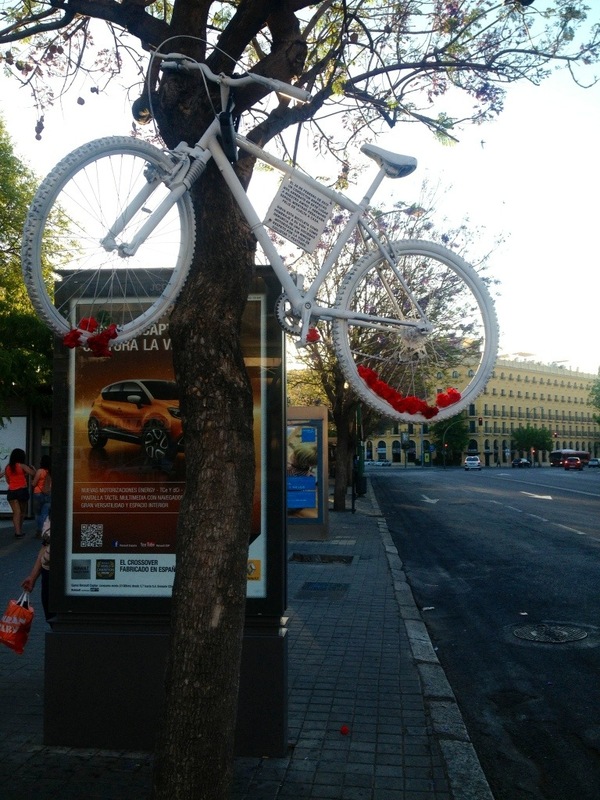 While riding around Seville today I came across a ghost bike. The sign on the Bike reads: THE FEBRUARY 28TH OF 2013 A DRUNK DRIVER CRASHED OUR FRIEND AND BROTHER, SERGIO, WHILE HE WAS PEDALING HAPPY TO HOME. THIS BICYCLE IS USED LIKE A MEMORIAL OF HIS LIFE AND LIKE A REPORT TO A MOTORING SOCIETY WITHOUT RESPECT OF THE LIFE OF THE CYCLIST AND PEDESTRIAN. 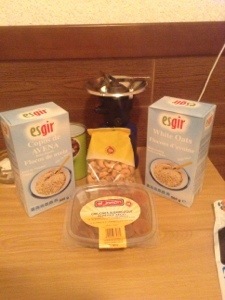 I restocked (made) my famous oatmeal for camping and hosteling. My tent was leaking some I couldn’t find any seam sealer in Portugal, but Spain, it’s almost America! 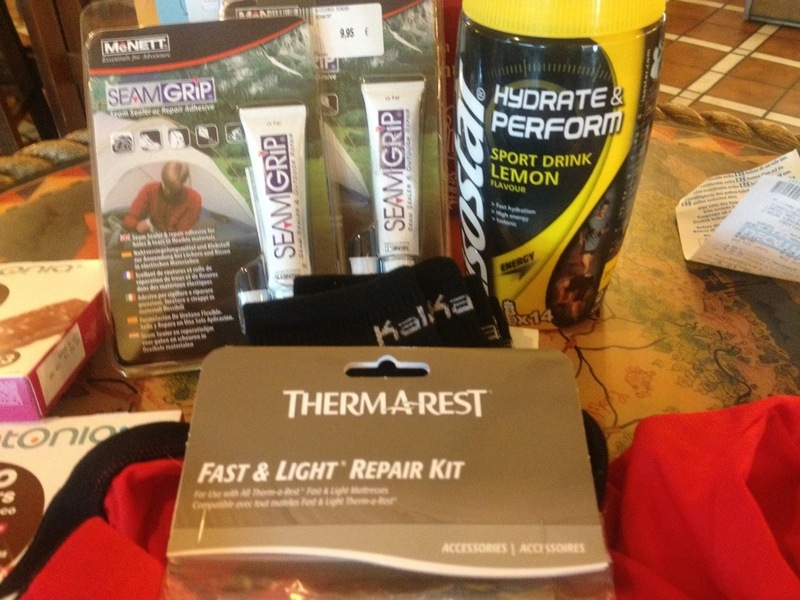 Therma-rest repair kit, tent seam sealer, red cycling shorts, powdered gatorade type stuff, chocolate bars & black cycling socks. I’m ready for some camping after Morocco. 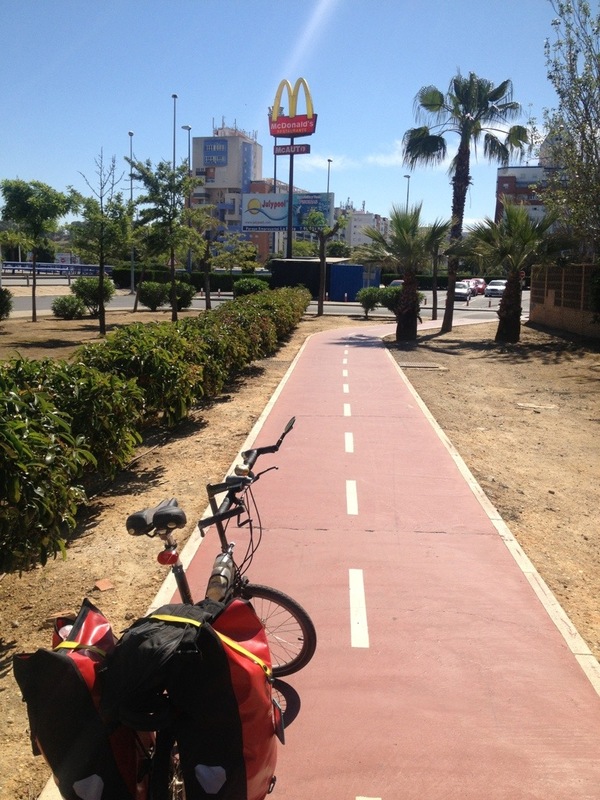 This entry was posted in SPAIN and tagged SEVILLE on May 11, 2013 by jeffsbiketour. I noticed in Portugal that most people didn’t grow a garden. When I talked with a Portuguese women about this, she said the Portuguese buy a lot of their food from Spain. Now that I’m in Spain, I can definitely see it. 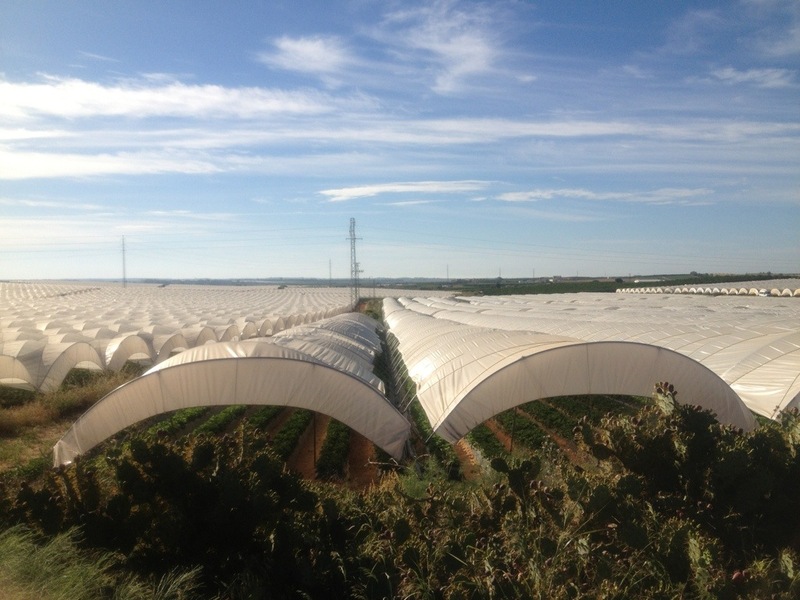 There are rows of crops & fruit trees. I saw hectors (acres) of covered crops, which is what the trend is in Oregon, to extend the growing season. These were strawberry’s closest to the road, but you can see on the left how far the covers go, forever! 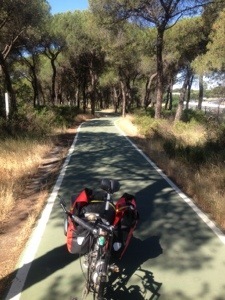 While biking into Huelva, Spain as I hit the major highway into town an awesome Bike Path appeared. I followed it straight into town. Since I love tours, I signed up for the Tapa tour, 3 restaurants with drinks included. It was very fun, the people were awesome, especially the Quebec girls, Amy & Roxane. They actually thought I was funny, WTF. I inquired about Friday’s Bike Tour, she said it started a 7. I said 7 in the morning? 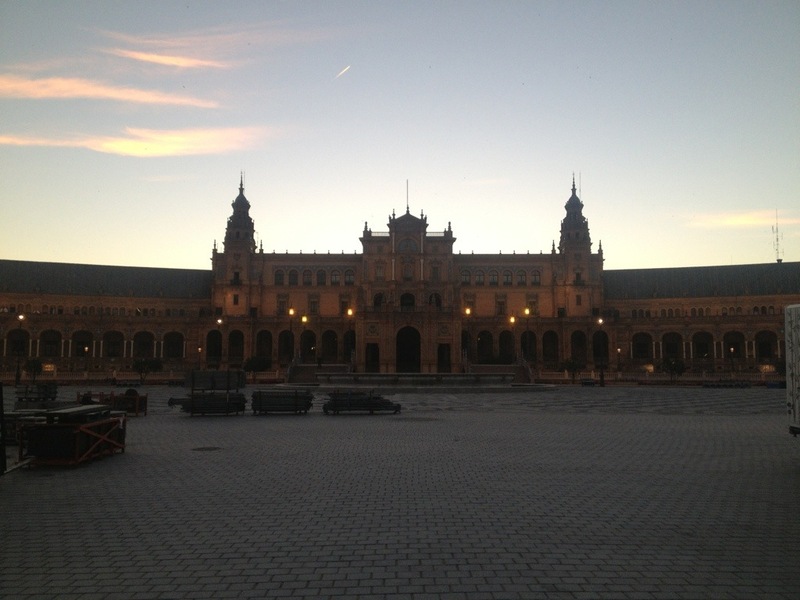 No 7pm, All of Seville lives at night and sleeps in the morning. She said no one is up that early, that was my cue to get up early and ride around town. There are literally thousands of people on the streets of Seville during the day. I got up at 5 am and started riding, it was so nice to have the bike paths along the river to myself. Just walking around town you have to dodge all the people. (maybe time for a little birth control) Below are some photos I took this morning. 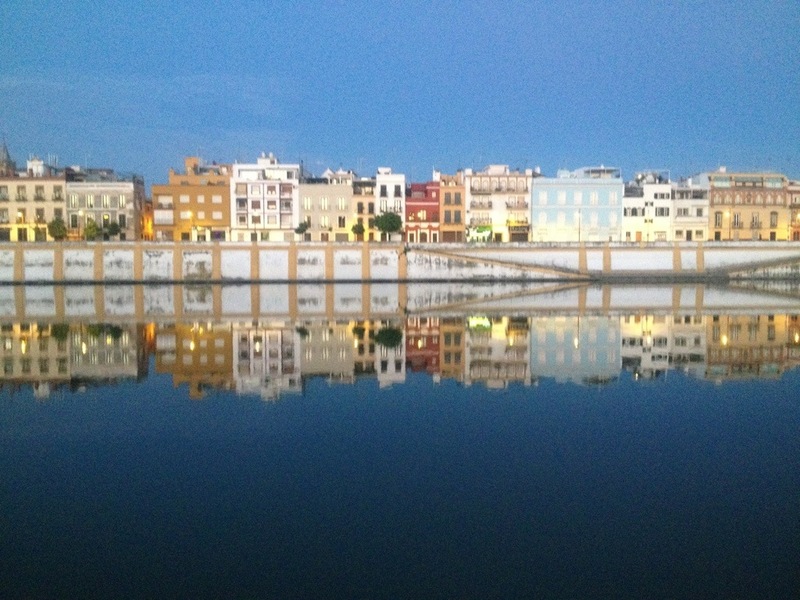 This entry was posted in SPAIN and tagged SEVILLE on May 10, 2013 by jeffsbiketour.